Kelsey Briggs and The Gentleman Pirate. Photo by Jamey Price. Kelsey Briggs has been given a second chance, and she’s taking full advantage. 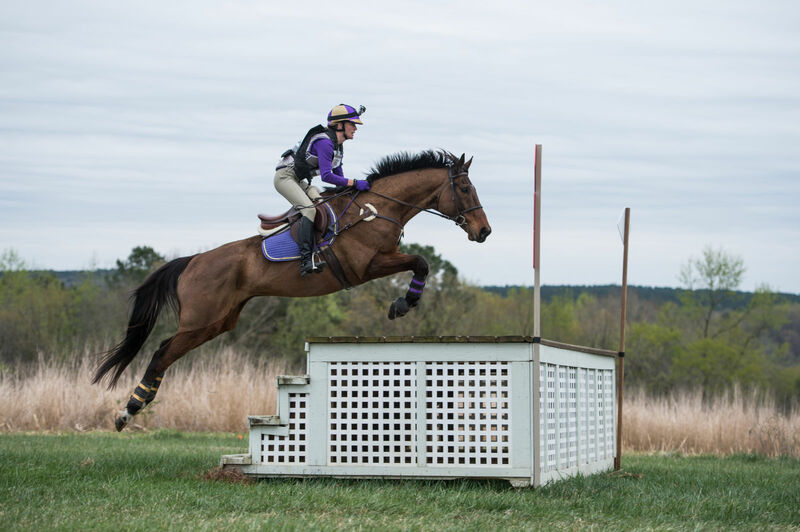 She has packed her bags, and, together with her 12-year-old Thoroughbred The Gentleman Pirate, is moving to Middleburg, Virginia to pursue her dreams. Most of us know the story of Pirate, who broke his neck in a pasture accident two years ago. Overcoming all odds and not only returning to work but returning to upper-level competition, he has now progressed beyond where he was before his accident, completing the CIC2* at The Fork just this month. Kelsey, 26, has a thriving lesson and training program in the Charlotte, North Carolina area, a business she has built from the ground up since she was a teenager. She has made the difficult decision to step away from that for the time being and focus on Pirate. It was this January, when Kelsey sat down to plan out the year that she came to the realization that she needed to make a change if she and Pirate were going to continue to progress. Kelsey Briggs and The Gentleman Pirate at The Fork. Photo by Jamey Price. Kelsey has trained Pirate to the two-star level primarily on her own, but she doesn’t want to move up to Advanced until she’s told they’re ready. So she’s on her way to Windchase Farm to work for and train with Phyllis Dawson. It goes without saying, Northern Virginia is horse country, and in and around it are some of the best eventing riders and trainers in the country. Immersing herself, Kelsey said, will push her to be better. Kelsey is taking a leap of faith, so she wouldn’t answer to what her long-term plans are. “I’m going out for my dream, but I’m letting life unfold as it should,” she said. 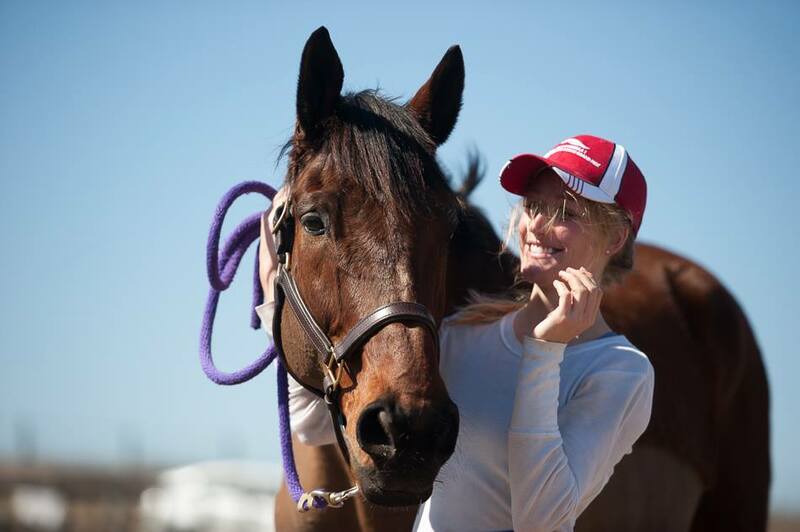 Kelsey hopes to return home to Charlotte often to teach clinics and check up on her two barns, which she has handed over to two families who ride with her. Whether she stays in Middleburg for one year or six, she knows she will winter in North Carolina. 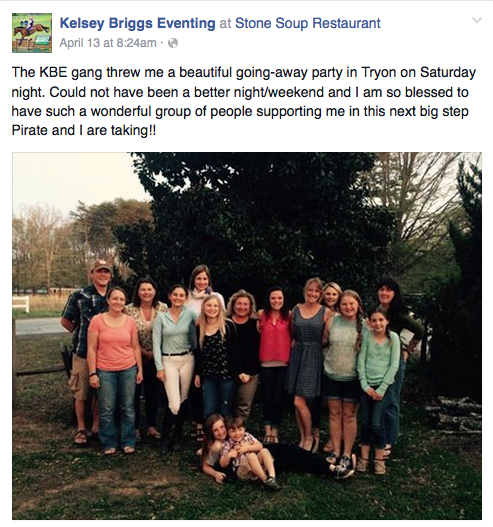 “It’s such a luxury to be able to pick up and go, because I did this backwards,” Kelsey said. “Most go off and train when they’re teenagers, spend some time learning and then come back and build a business. I’ve done it the opposite way. I’ve built a business, putting away a little money every month for years so that I can go off and do something like this. Kelsey and Pirate are coming up on their ninth anniversary this summer. She bought him when he was just three years old, and every day with him has been a blessing. Good luck Kelsey, and may all your dreams come true!